This postcard is the latest from this interesting building. The movie Sonnenallee came to German cinemas on October 7, 1999. It was directed by Leander Haußmann after a novel by Thomas Brussig and tells about a youth in East Berlin in the late 1970s. The Sonnenallee is an actual street in Berlin that was intersected by the border between East and West during the time of the Berlin Wall, although it bears little resemblance to the film set. On the large poster you can see Detlev Buck as an East German policeman. His 1993 movie Wir können auch anders ... is one of the best German movies about the situation in East Germany in the early 1990s. And I remember children clapping after his excellent children movie Hände weg von Mississippi. 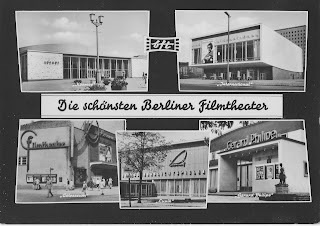 At all it is a set of three postcards, advertising postcards publishing by the Yorck Kinogruppe - owner and co-owner of different cinemas in Berlin and Dresden. 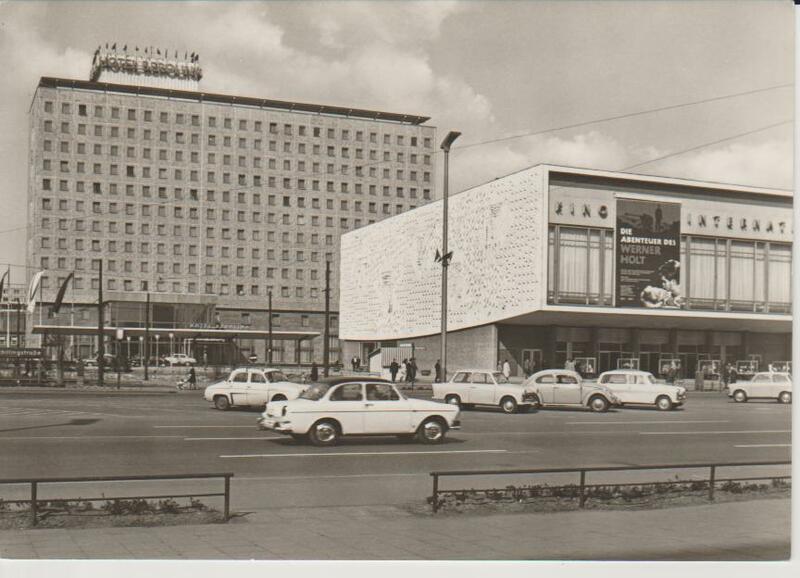 It is an interesting view outwards to the Café Moskau, it is so often on the postcards together with Kino International. Kosmos, opened in 1962 and closed in 2005. 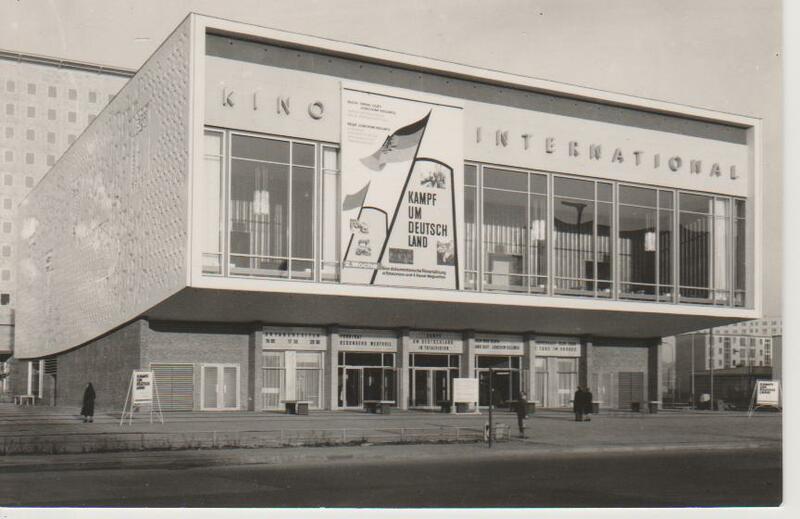 Josef Kaiser and Herbert Aust were the architectures of this cinema with 1000 seats in one hall. For more information and pictures look at great Kinokompendium. 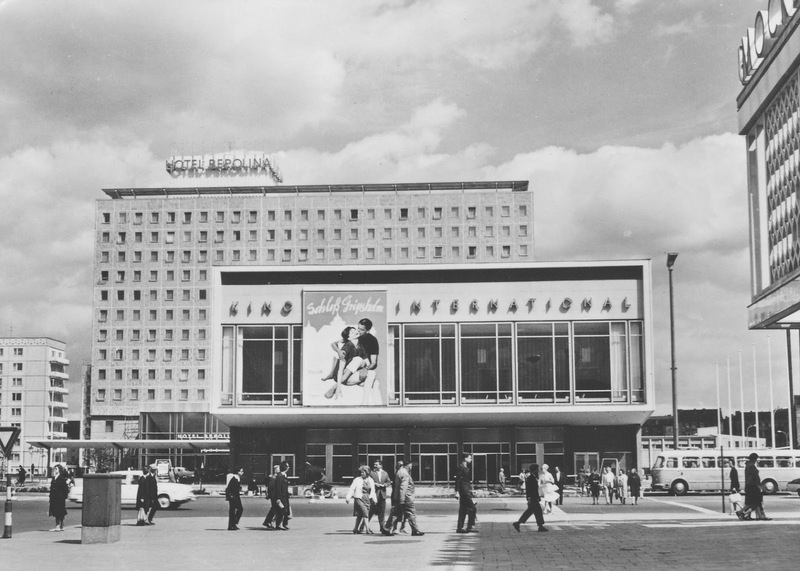 Kino International, opened in 1964. For more information and pictures look at great Kinokompendium. Filmtheater Colosseum, was planned by famous cinema-architecture Fritz Wilms and opened in 1924. 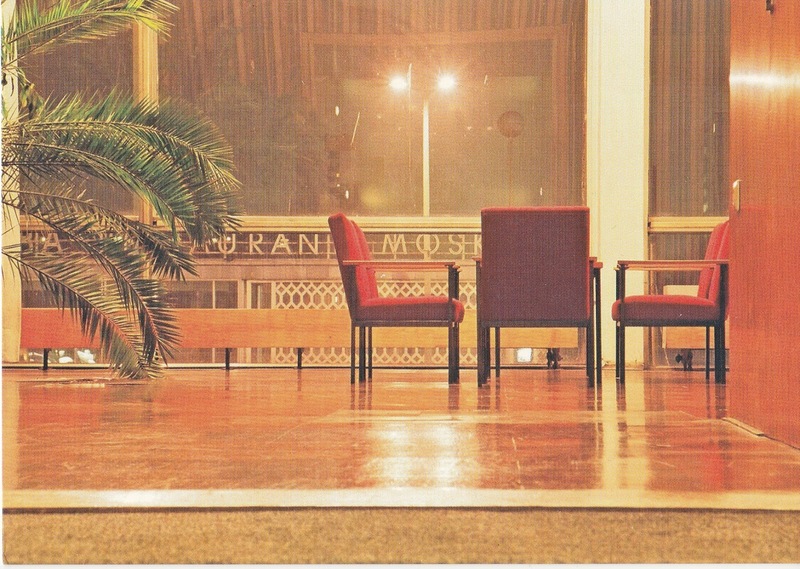 The film producer Arthur Brauner acquired the grounds in 1993 and built in 1997 a multiplex with 10 halls. Lunik Lichtspiele, opened in 1961 and closed in 1961. It was planned by Josef Kaiser and had about 500 places. 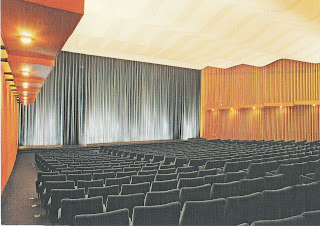 Filmtheater Gérard Philipe, opened on December 18, 1960 and closed in 1979. Gérard Philipe (1922-1959) was a French actor, very popular also in East Germany. The logo bft betweenthe photos of cinema Kosmos and Kino International stands for VEB Berliner Filmtheater, the East German state cinema company in Berlin. At all a well done postcard from 1964. 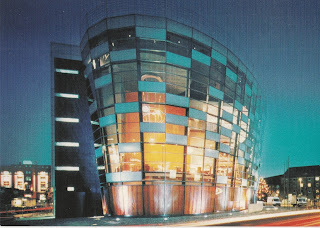 UCI Kinowelt in Düsseldorf was opened on December 19, 1998. This cinema has at all 9 halls with 2759 seats, longest escalator in North Rhine-Westphalia, biggest movie screen in Düsseldorf (24 metres x 10 metres) and of course latest technology. The architect of this interesting building remebering a ship's hull was Till Sattler. The postcard is an advertising card. 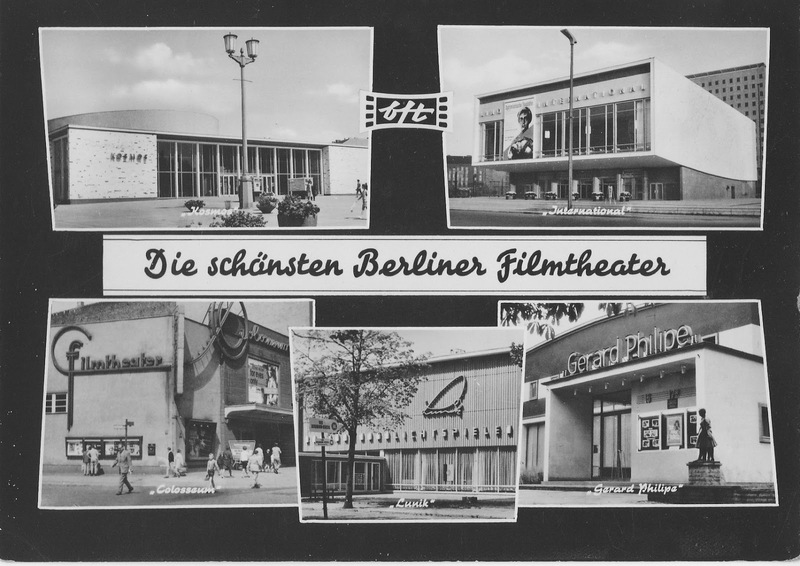 Unfortunately normal postcards with new cinemas are really rare. Boccaccio '70 is a 1962 Italian anthology film directed by Mario Monicelli, Federico Fellini, Luchino Visconti and Vittorio De Sica, starring Anita Ekberg, Romy Schneider, Sophia Loren and Marisa Solinas. It is an anthology of four episodes, each by one of the directors, all about a different aspect of morality and love in modern times, in the style of Boccaccio. Boccaccio (1313-1375) is still today famous for his Decameron. The total running time is 208 min (like the Italian version with all four segments), but there were some changes in some countries. 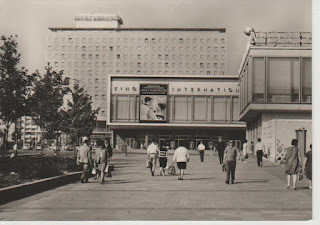 I don't know the running time of the movie, when it came to Kino International and to East Germany on 2 July 1965. The Czech town Bohumín near the Polish border has a difficult history. The town was named Neu-Oderberg O/S. (Oberschlesien) after the annexion by Nazi Germany between 1939 and 1945 - so it is written on the postcard. Unfortunately I don't know anything about the history of this building. But fortunately it is still in use - today as KULTURNÍ DŮM K3. It was modernized in 2006. Die Abenteuer des Werner Holt / The Adventures of Werner Holt is a 1965 East German film directed by Joachim Kunert. The script was based on Dieter Noll's 1960 published novel Die Abenteuer des Werner Holt (Part 1). The plot: Werner Holt (Klaus-Peter Thiele), a young Wehrmacht soldier stationed on the eastern border of Germany in the last days of World War II, is awaiting the attack of the Red Army and he recalls the last two years of his life. The movie released on 5 February 1965, and it is still today cited as one of the most notable films that, using a modernist style, challenged the traditional East German anti-Fascist narrative by introducing a more personal perspective to the theme. 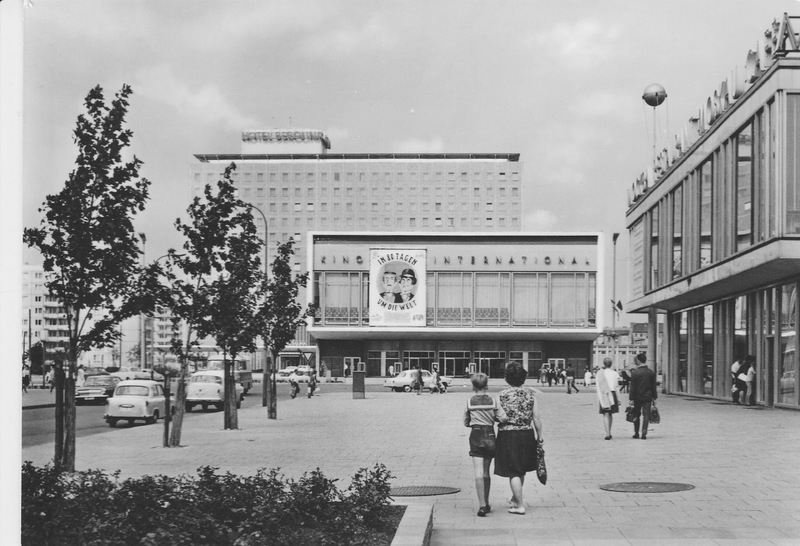 With this view of Kino International you get a little idea of the pictures on the facade. You can see better pictures of altogether 14 different scenes from the leisure and professional life of socialist everyday life at Kinokompendium. 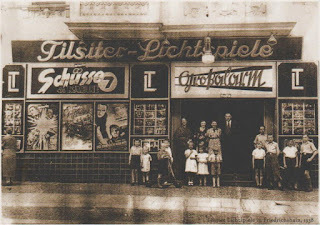 Kino Sevastopol is in the middle house on the postcard in the street Na Příkopě 31 in Czech capital Prague. The house was built as Příkopy Palace for the insurers of Moldavia Generali and Assicurazioni Generali in 1936-38 by the architects Bohumír Kozák and Antonín Černý in functionalist style. 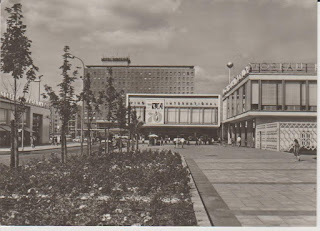 The palace was and is known for its shopping passage, which connects the streets of Celetna and Na Příkopě. The cinema was opened on September 9, 1938 as Cinema Broadway, located in the basement of the building, and was most elegant movie theather in Prague. The whole building is now an inherited cultural monument. 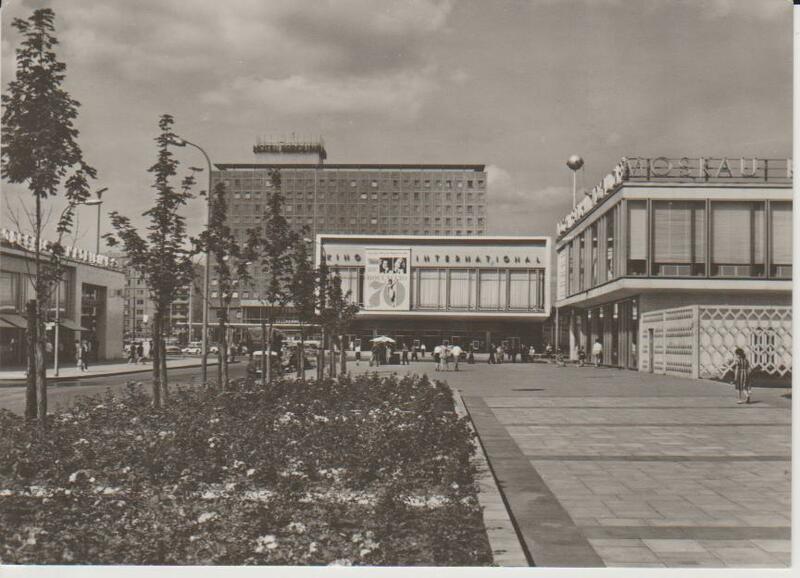 The cinema was called Sevastopol after the Soviet army came to Prague in May 1945. Sevastopol is a city located in the southwestern region of the Crimean Peninsula on the Black Sea. There was the the Battle of Sevastopol during World War II from October 1940 until July 1942. The Cinema named to Cinema Broadway again after 1989. 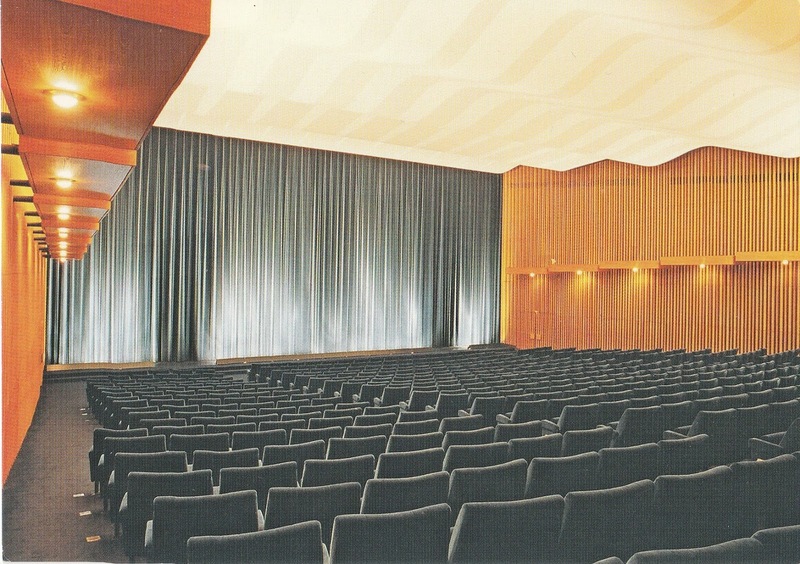 It was the first Czech cinema that had a SDDS surround sound. It closed in 1998. 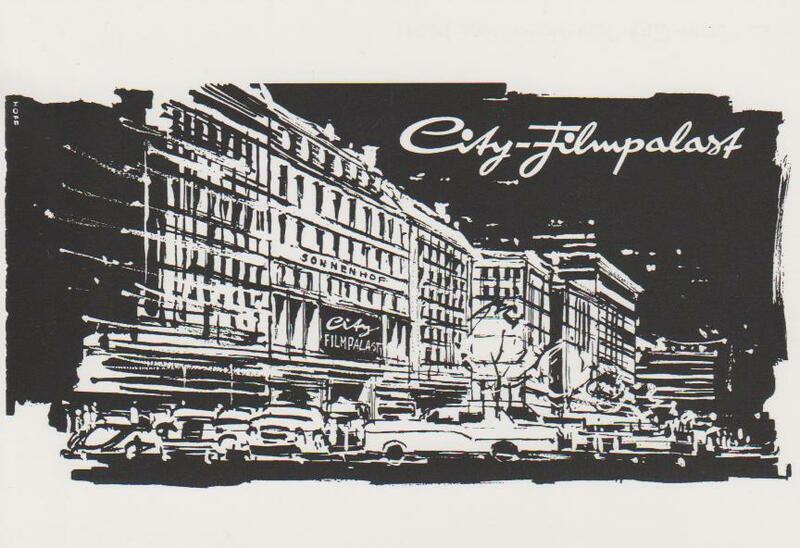 In December 2001 a new musical theatre was opened in the rooms: Divadlo Broadway. The postcard is from the 1950s. You can read Kino Sevastopol over the entrance and see advertisment for a movie with a sail. Maybe it was the 1937 Soviet movie Белеет парус одинокий / The lonely White Sail / Na obzoru plachta bílá after the novel by Valetin Katajew. 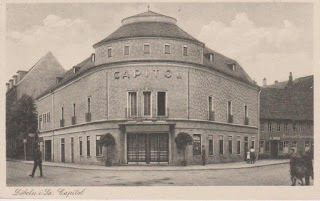 On 27 August 1937, Max Kirchberg welcomed the guests in the name of the owner Wilhelm Wortmann to the opening of the Capitol cinema in the Saxon town Döbeln. 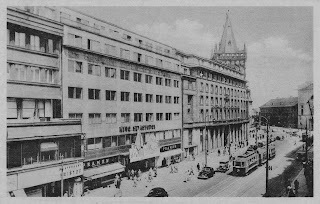 The cinema was built by Arthur Wenzel and had 651 places in one hall. It closed in 1999. Today it is a cultural heritage monument and used as a paramedical house and doctor's office. The advertised movie Kampf um Deutschland is an East German documentary about the fight of communists against fascism between 1930 and 1945 and building a communist Germany after 1945. The movie directed by Joachim Hellwig and had premiere on October 7, 1963 - the 14th annivarsary of the establishment of the German Democratic Republic. 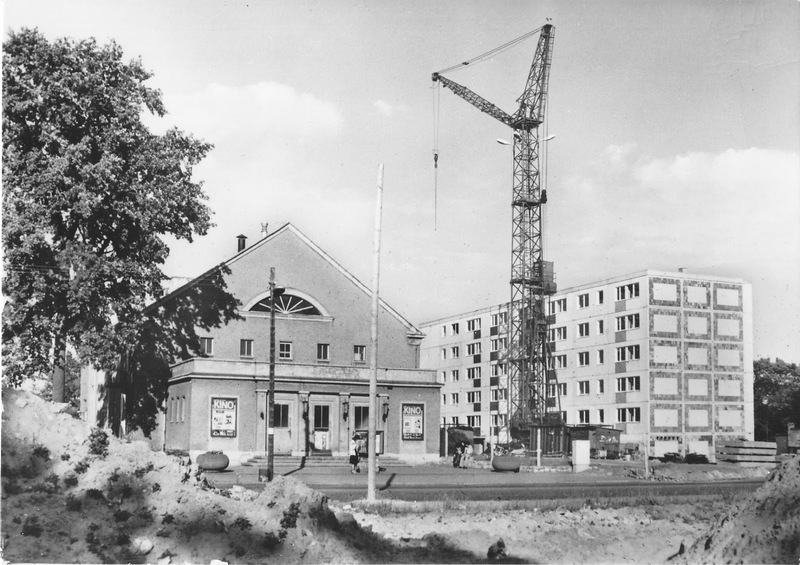 The premiere night was not in this cinema (it was still a building site), it was in Filmtheater Kosmos in Berlin. I don't know when this documentary was shown in Kino International, maybe in spring 1964. 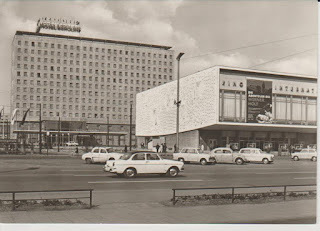 The postcard is from 1964. 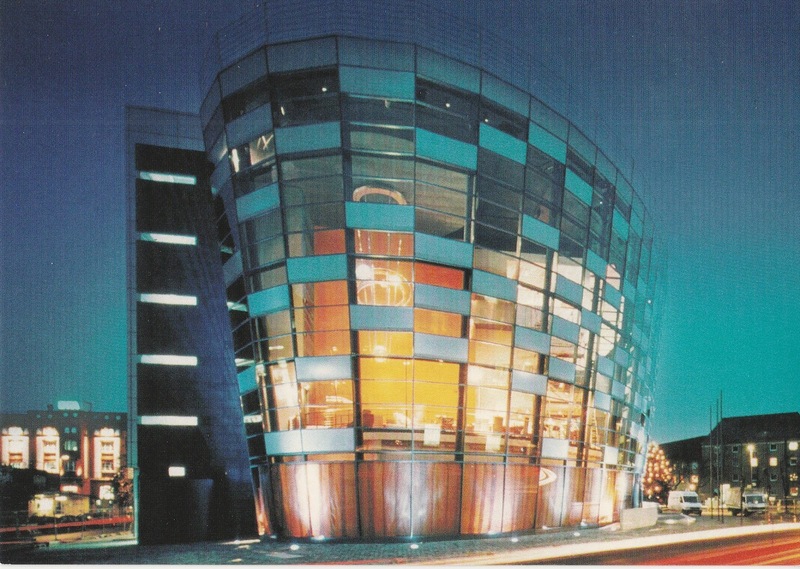 It is a good view of the cinema and its unique architecture. 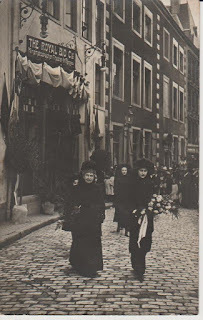 The photo was made in February 1912 in Luxembourg. It shows Marie-Adélaïde, Grand Duchess of Luxembourg (1894-1924) with her mother Marie Anne (1861-1942). It is a sad way for the women: It is the funeral of father and husband Grand Duke William IV (1852-1912). They are just in front of The Royal Bio Co. 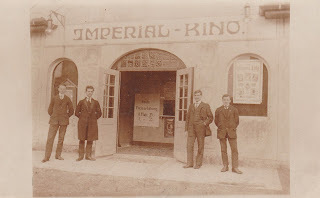 This cinema opened in a hall of the Hôtel de Luxembourg in 1907, and was managed by the owner of the hotel Nicolas Medinger and his son Félix. They later named it in Medingers Kinematograph. It had 350 places and closed in 1912. Félix Medinger also made little movies of Luxembourg and showed them in his cinema. Above them there is also a movie about the statutory power of the new Grand Duchess on June 18, 1912. He showed this movie at The Royal Bio Co. already on June 22, 1912. The Grand Duchess Marie-Adélaïde went to this cinema with her mother and her five sisters to see this movie on June 25, 1912. Félix Medinger was a clever business man. I am sure the photo in front of the cinema was his idea. Even there is written the name of the photographer at the left corner: P.C.Schowen (or something like that). 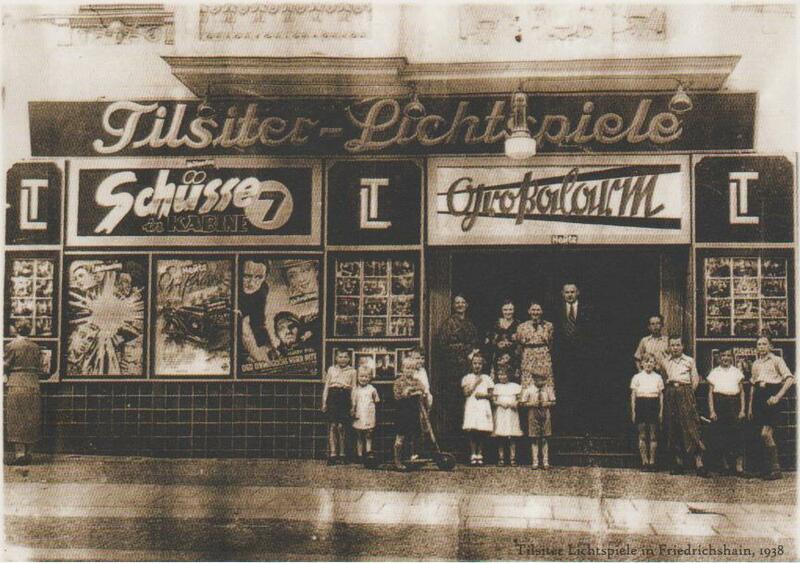 There is a really interesting book about the history of cinemas in Luxembourg: D'Stater Kinoen. Eine Kinogeschichte der Stadt Luxemburg by Paul Lesch. Reading this book is like a journey to this city. 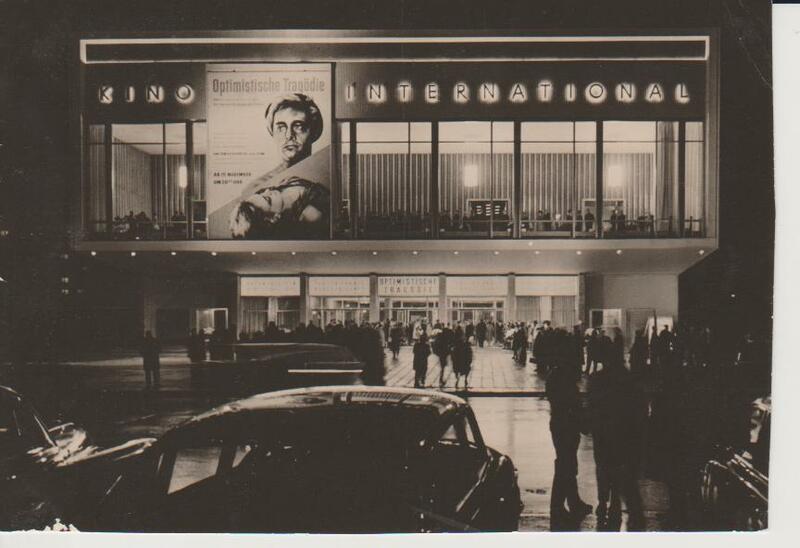 Another postcard from Kino International. 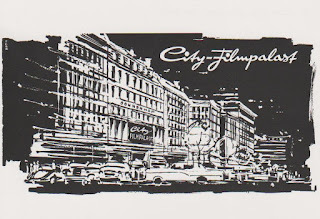 It is a very interesting postcard, because the theatre was opened with the advertised movie Optimistische Tragödie / Optimisticheskaya tragediya / Optimistic tragedy, a Soviet movie by Samson Samsonov. 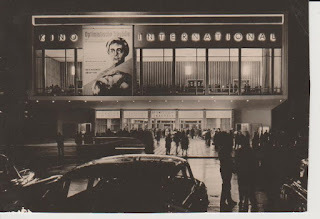 Unfortunately it isn't a photo from the grand opening premiere on November 15, 1963. I found at Bundesarchiv a picture from this event with flags in front of the cinema and at the postcard there aren't flags. 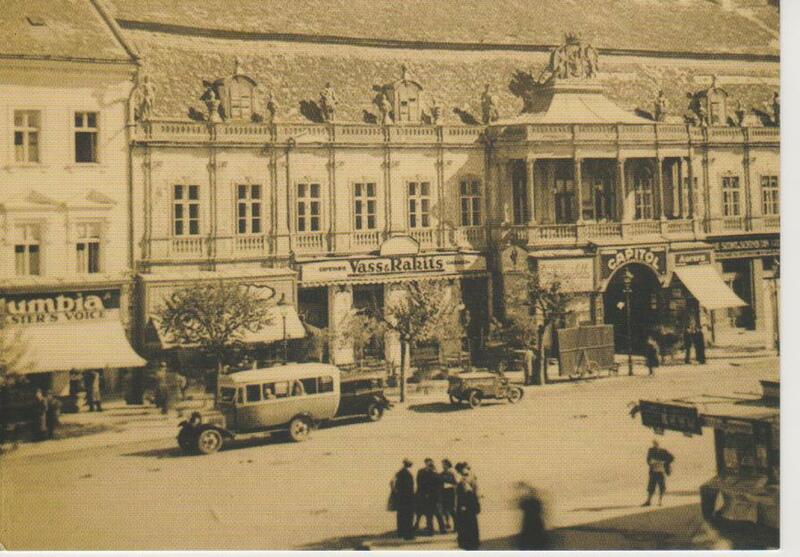 The postcard shows Bánffy Palace in Cluj-Napoca, the second most populous city in Romania. Bánffy Palace built between 1774 and 1775 by Johann Eberhard Baumann for count György Bánffy. The National Museum of Art has located in this building since 1951. I don't know much about this cinema. You can see the name Capitol over the entrance. It opened in the 1920ies and closed in 1974. The cinema occupyed the inner yard of the palace - maybe an open-air cinema? The postcard is a reprint of an old photo, I got it with Postcrossing. Vielen Dank, Beate! 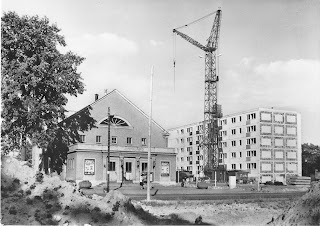 The photo was taken in summer 1966. Then the Oscar-winning movie Around the World in 80 Days came to Kino International (on 22 July 1966). This US-American movie realesed already in 1956. But it was too expensive for the East German film distributuion to start this film earlier in East German cinemas. 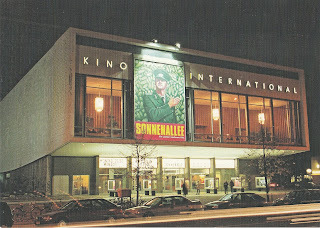 The movie was a made in Todd-AO 70mm cinematography and could shown in this quality in Kino International. The screenplay based on the well known novel by Jules Verne. I am sure woman and boy at this postcard saw this movie, they are looking so expactantly at the cinema. 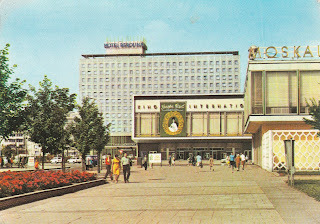 A colour postcard with Kino International on a summer day. 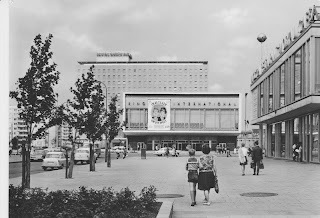 The cinema advertises the movie Gräfin Cosel / Hrabina Cosel (directed by Jerzy Antczak, Poland 1968), realeased in East German cinemas on 13th June 1969. Anna Constantia Countess of Cosel (1680 - 1765) was a German noblewoman and mistress of Augustus the Strong, King of Poland and Elector of Saxony. But this love hadn't a happy end, Augustus has arrested her in 1716 to Burg Stolpen/Saxony, where she died after 49 years of imprisonment. This postcard is a photo that can be sent as a postcard. But unfortunately it wasn't send as a postcard. 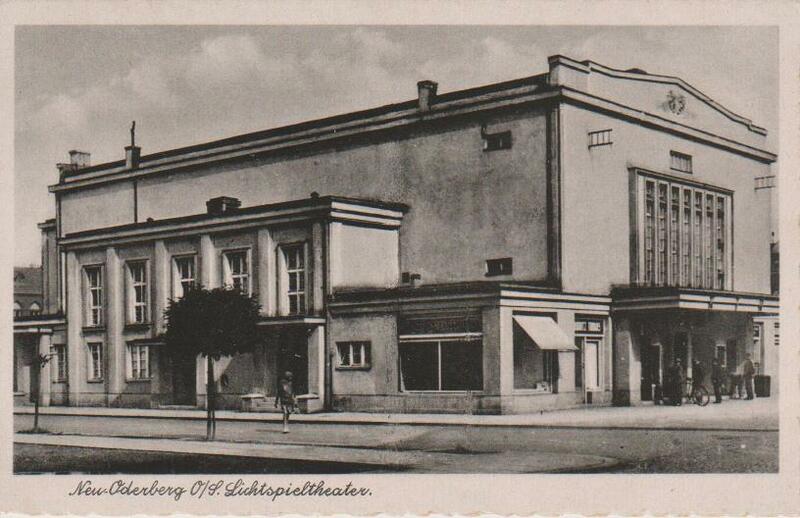 The backside is empty and you can read nothing about this cinema on the photo-postcard. It is a riddle - and I love riddles and that is why I bought this card. You can read at the card the name of the cinema: Imperial-Kino and the advertising for the movie Im goldenen Käfig (In the gilded cage). This movie - so I knew from Murnau Stiftung - was realesed in Germany on 5th October 1912, directed by Curt A. Stark, produced by Messters Projektions GmbH. There is written on a poster inside: "Heute Preiserhöhung. (Today price rice.) II. Platz 25 ₰, I. Platz 35 ₰". ₰ is a sign for Pfennig, a former German coin. So I know the cinema was situated in Germany and has opened about 1912. Let's look for more information to Kinowiki. 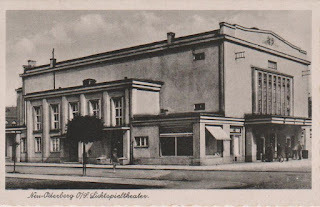 - Roßbach - today Hranice u Aše in Czechia, Hauptstraße 463, opened in 1910 as Imperial-Kino. 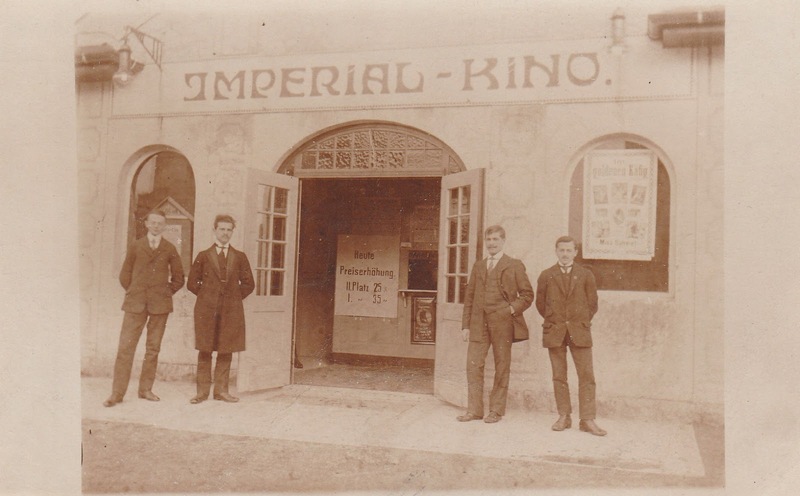 So the only cinemas called Imperial-Kino were in Dresden and Roßbach. But Roßbach was a Bohemian town, has belonged to the Austrian Emprire until 1918. There they had no Pfennige as coins, but Heller. 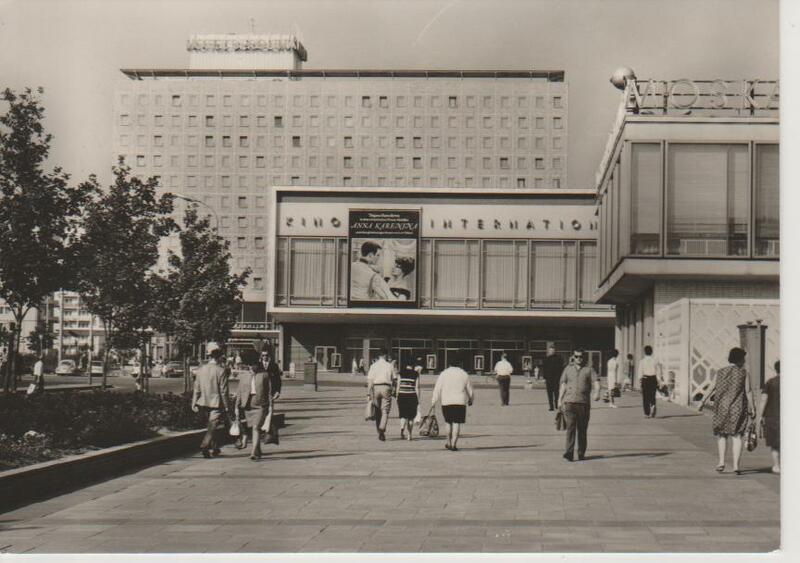 So the cinema at the postcard is the Imperial-Kino in Dresden. The next question is: Who are the men in front of the cinema? Here is another postcard from 1965. The cinema is advertising the movie Schloß Gripsholm from West Germany, made by Kurt Hoffmann in 1963. It released at East German cinemas on 7th August 1964. Schloß Gripsholm is originally a novel written in 1931 by Kurt Tucholsky (1890-1935).